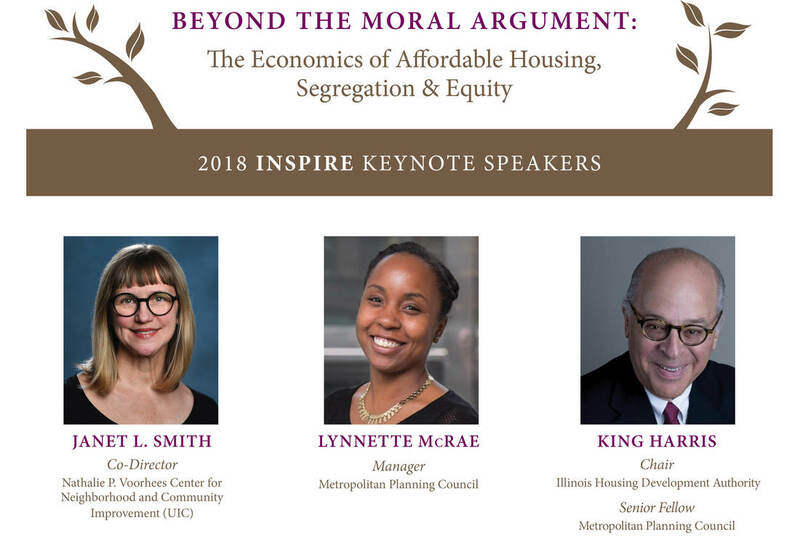 ​As a professor of Urban Planning and Policy at the University of Illinois at Chicago, Dr. Smith’s teaching, research and community service have focused on community development, with an emphasis on community-driven strategies to produce and preserve affordable housing for the past 30 years. Janet’s research includes public housing transformation in Chicago and the US; housing and health outcomes; expanding housing opportunities for people with disabilities; and connecting housing affordability to economic development and wages. Janet has worked with many organizations and research teams to develop indicators and map data to help people make informed decisions and develop responsive solutions to community problems, including efforts to identify and respond to different stages of gentrification. Lynnette is a community development practitioner with more than 10 years of experience in project management and supporting local efforts at comprehensive community revitalization across the country. A manager at MPC since 2017, she centers her work on the regional intersections of housing, community development, transit-oriented development and equity. Prior to MPC, Lynnette spent more than 8 years at the U.S. Department of Housing and Urban Development where she held roles from policy development to grantmaking, and coordinating and delivering technical assistance to communities. Lynnette has also worked within the nonprofit sector, local government and for U.S. Congressman Jose E. Serrano in the U.S. House of Representatives. Lynnette is a native of the Chicago-area and has received degrees from Washington University in St. Louis and the University of Michigan. King Harris is Chairman of Harris Holdings, Inc., his family’s investment company and President of the Harris Family Foundation. He serves as a Senior Fellow at the Metropolitan Planning Council and is Chairman of the Illinois Housing Development Authority. He is Vice-Chairman of the Board of the Museum of Contemporary Art, a member of the Keystone Board (Foundation) of the Shirley Ryan Ability Lab, and member of the Visiting Committee of the University of Chicago’s Graduate School of Public Policy. He served as a Board member of the University of Chicago between 1987-2018. He graduated from Harvard College in 1965 and spent two years in the Peace Corps as a community development worker in Lota, Chile. He returned to Harvard for his MBA, graduating in 1968. He then became a neighborhood center director for the Office of Economic Opportunity in Revere and Malden, Massachusetts. In 1971 he joined Pittway Corporation in its burglar alarm division in New York before coming to the Midwest in 1975 to work at Pittway’s smoke detector business, BRK Electronics in Aurora, Illinois where he served five years as Executive Vice-President and four years as Chairman. In 1984 he became President of Pittway (NYSE), then President & CEO in 1987. In early 2000 Pittway was sold to Honeywell International. He served as Board Chair of AptarGroup (NYSE) between 1995-2018, Board Chair and Board member of Penton Media (NYSE) between 1998-2003, and Board member of Alberto Culver (NYSE), 2006-2013.